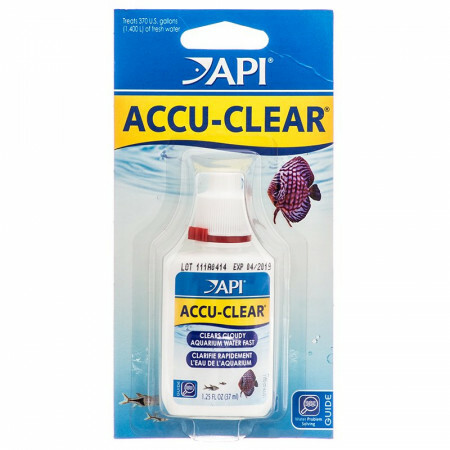 API Accu-Clear quickly clears cloudy aquarium water, eliminating clouds caused by dirt, algae, or bacterial bloom. Accu-Clear clumps together tiny floating particles and forms large debris that will easily be removed by your aquarium filter. 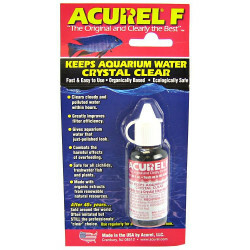 Accu-Clear also eliminates the milky haze resulting from gravel in new aquariums. Directions: Use the API Dosing Cap on bottle. Add 1 ml per 10 gallons of aquarium water. For larger aquariums, add 5 ml per 50 gallons of water. Do not overdose. Water will clear within several hours. If second dose is necessary, wait 24 hours. Safe for use in freshwater aquariums. Safe for all fish and plants in freshwater aquariums. Keep out of reach of children, avoid contact with eyes. 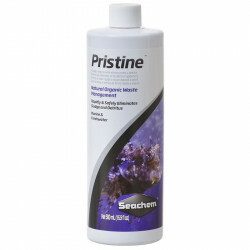 I have been using this product for as long as I've had aquariums or 10 years. I found it on line at Pet Mountain after I couldn't get it locally anymore. This product is absolutely the best ever for keeping the fish tanks sparkling and it only takes a few hours before they start clearing up. I love it and even use it as a clarifier in my outside pond occasionally. If you have tanks this is the stuff for you. It doesn't harm the fish either. 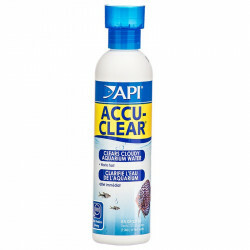 This is a great product, Water can be extremely cloudy and a shot of Accu-Clear makes the water as clear a tap water. 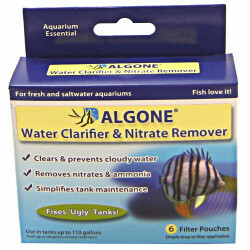 We used this product on our 45 Gallon tank when a white cloudy look appeared in the water. I assumed it was a bacteria bloom and it did not go away over time or after water changes. I believe that the bacteria bloom was also causing bad water conditions such as acidic water and low alkalinity. We used the recommended dosage and within 24 hours there was a noticeable less cloudy water but not completely cleared. Within 5-6 days the water was amazingly crystal clear. I believe that the AccuClear also helped with the water condition as well either by eliminating off the bacteria that was causing low pH condition or by clumping all the contaminants together to be filtered out. It also might have made the water just slightly less hard. We have amazingly clear water now and I am very happy that I bought this product. Wish I could share a picture!